We do not recommend adding more than 400-500 products to your WooCommerce site. It can lead to the issues with high CPU usage on your server and heavy database load created by multiple WooCommerce queries. 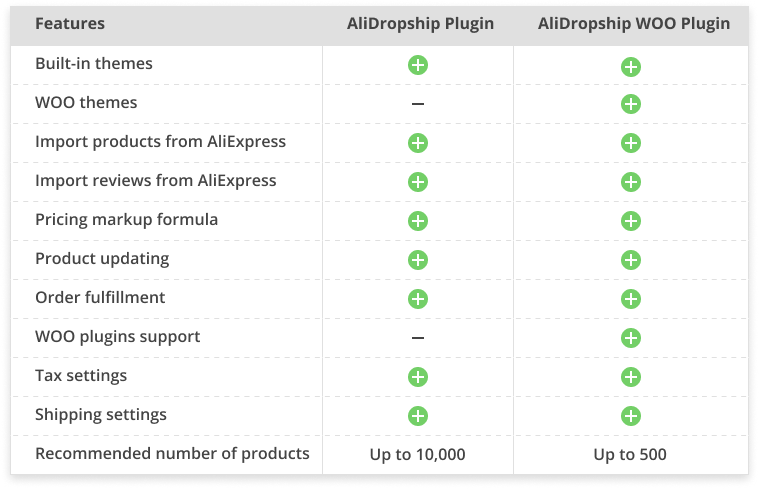 Since AliDropship original plugin is not compatible with WooCommerce and AliDropship Woo plugin, you should carefully consider all options of the two plugins before making your final decision which version to go with. If you decide to switch to the other version of the plugin, you will need to reinstall your WP and start your website from scratch. This must be done to avoid possible conflicts between the plugins.